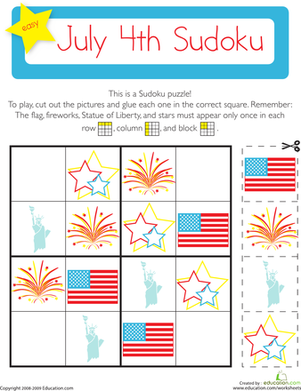 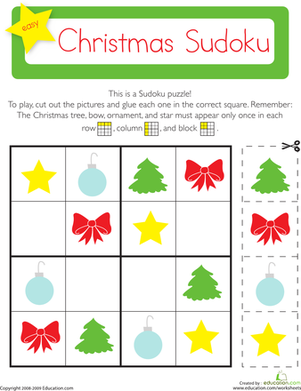 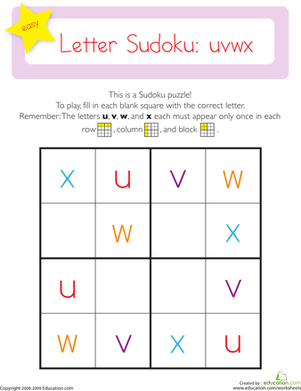 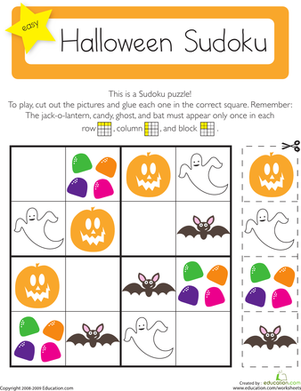 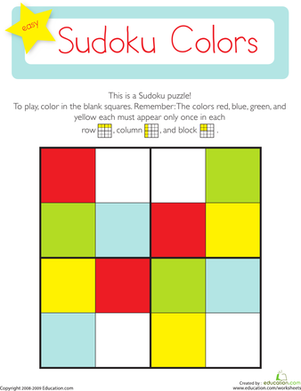 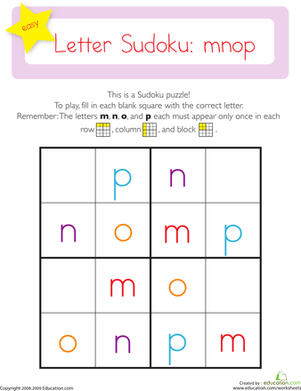 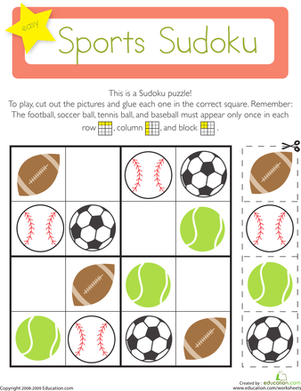 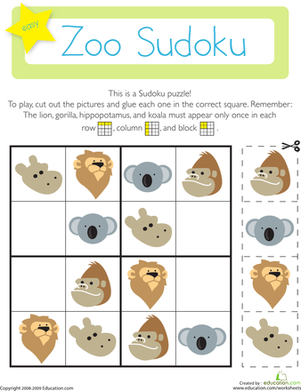 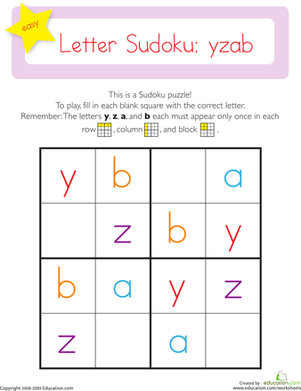 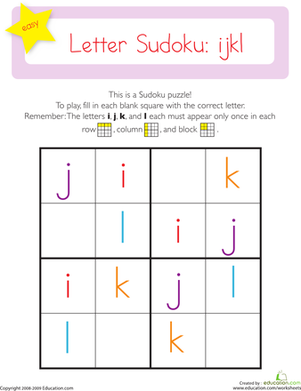 This easy Sudoku puzzle encourages kindergarteners to use their logical reasoning and critical thinking skills while practising writing lowercase letters to solve the puzzle. 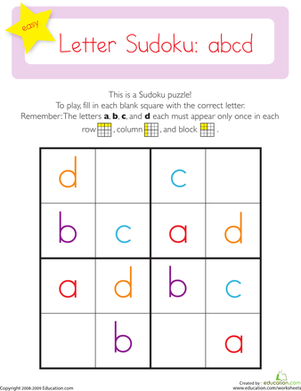 Write the lowercase letters a, b, c, and d in the blanks to solve the puzzle. 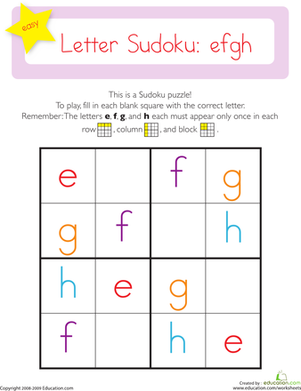 Each letter can only appear once in each row, column, and block.